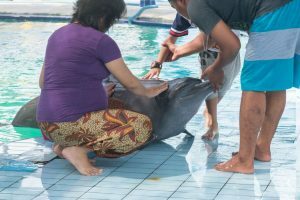 Home News Why Are Travel Associations Blatantly Disregarding Animal Cruelty At Wildlife Attractions Worldwide? Why Are Travel Associations Blatantly Disregarding Animal Cruelty At Wildlife Attractions Worldwide? 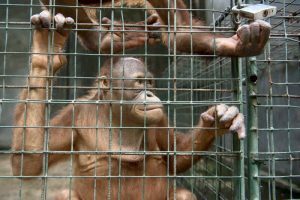 World Animal Protection’s (WFPA) new research revealed that a shockingly high number of the world’s travel trade associations are lagging in providing animal welfare guidelines to travel companies. The majority are doing nothing to prevent wildlife cruelty in tourism. 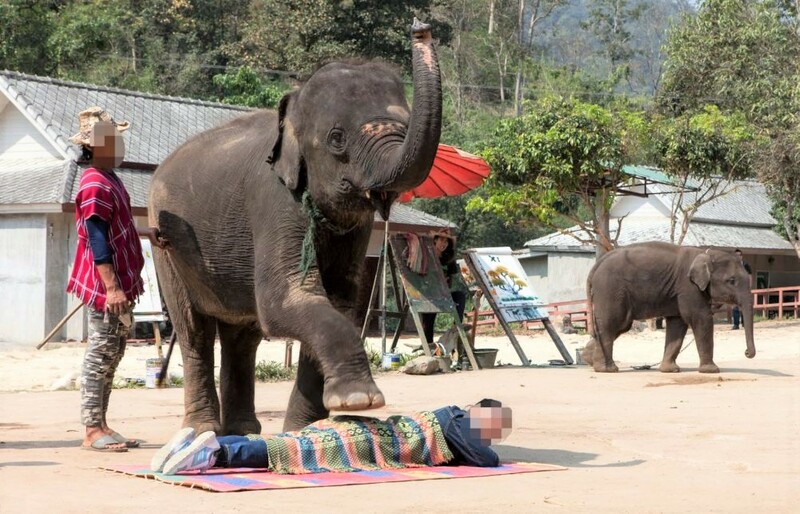 Over 550,000 wild animals are suffering endlessly just to entertain tourists. The research shows that travel associations must do more to protect them. 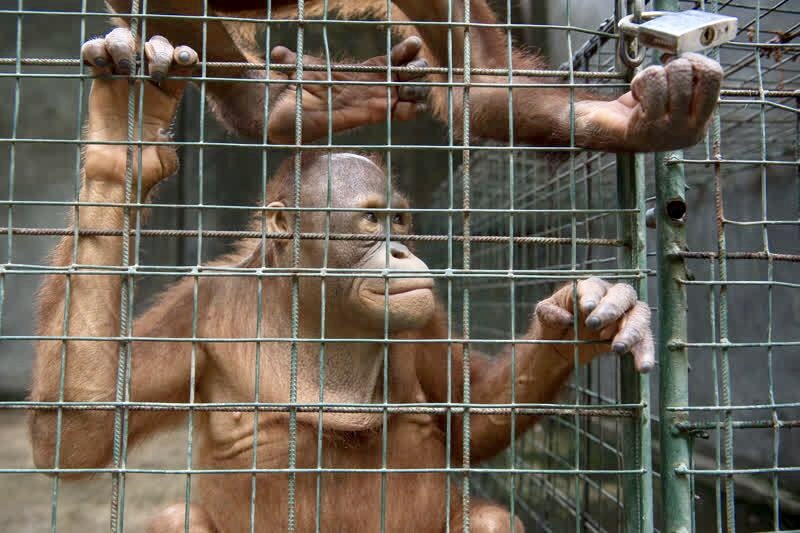 Orangutans are kept in cages and used for selfies and entertainment at wildlife venues in Bali. Out of the six, only two travel trade associations, and one tourism standard-setting body had what the researchers define as ‘appropriate animal welfare programmes’. The three were; Association of British Travel Agents (ABTA) UK’s largest travel association, Dutch Association of Travel Agents and Tour Operators (ANVR), and Global Sustainable Tourism Council (CSTC). A dolphin surrounded by tourists at an attraction in Bali. ABTA, ANVR, and GSTC have set animal welfare guidelines or criteria, but WFPA’s research shows that particularly for ABTA, there is considerable room for improvement. Captive wild animals worldwide endure appalling cruelty for tourist entertainment, including: elephants, sloths, tigers, and dolphins. 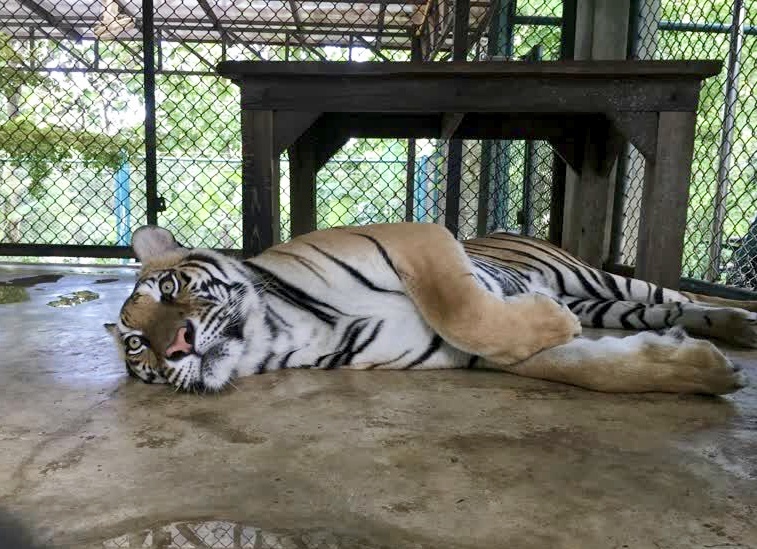 Ruby, a three-year-old female Bengal tiger, is kept in a barren cage at an entertainment venue in Thailand. There are also major health and safety risks to tourists participating in wild animal attractions. In Thailand alone, 17 fatalities, and 21 serious injuries were reported in venues with captive elephants in Thailand between 2010 and 2016. Over 1.6 million people, and more than 200 tour companies have signed World Animal Protections animal friendly travel pledge. 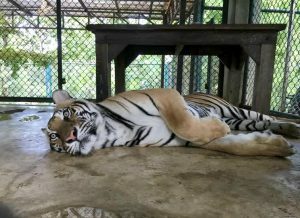 This signals there is a demand to phase out cruel wildlife activities like elephant riding, dolphinariums, and tiger selfies.